Vez'nan, the all+powerful wizard, is back! Embark on an epic journey by gathering his army and carrying out his evil plans ... mouahahah. Prepare to show the Kingdom who is the real boss! Advance as you please by conquering the new and good old kingdoms. Conquer empires of powerful enemies and measure yourself to supreme bosses in this tower defense classic, as funny as it is epic! + 16 courses to take on three lands that are waiting for you! + 9 powerful heroes who will follow your orders without hesitation. + More than 35 deadly enemies that will put your intelligence and tactical skills to the test. 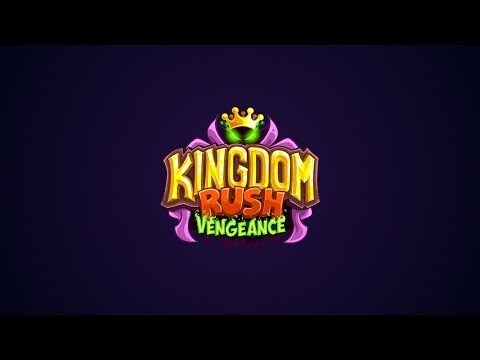 + Be the master of Rush the Kingdom by defeating 3 mighty Kings in the most legendary boss battles! + New powers and reinforcements to defeat your enemies. + More than 10 trinkets and relics to take advantage in combat. + 30 improvements to train your army at its best.